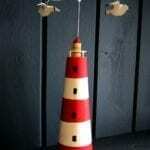 Add some coastal style to your home with this beautiful wooden mackerel swirl wall art. 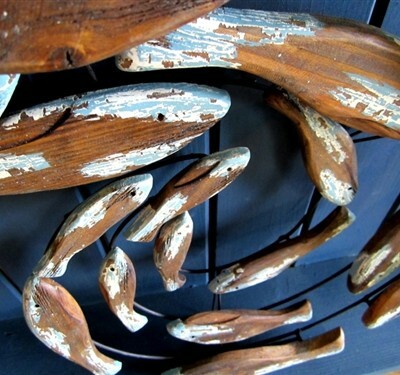 This beautiful piece of wall art consists of wooden fish with a distressed blue finish. 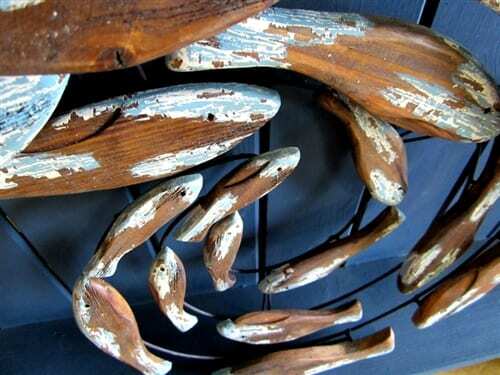 They elegantly swirl in a circle, mimicking the shapes mackerel form in shoals. 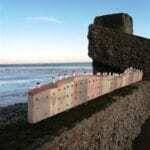 The fish are stepped away from the backing to give a three dimensional effect.